The Iranian embassy in Moscow has said that a Russian warship has freed eight Iranian citizens who had been seized last week along with Somali pirates. The Iranians had been held captive for almost three months by Somali pirates when the Russian destroyer Admiral Panteleyev captured the seized vessel with 29 suspected Somali pirates last week. 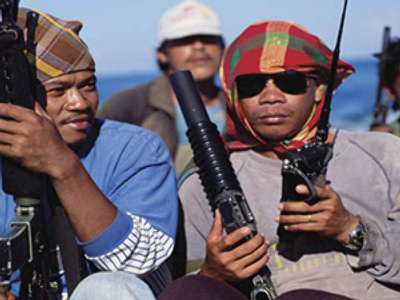 The Iranians, along with Pakistani fishermen, were detained with the suspected pirates. A Russian navy spokesman confirmed that the Iranian citizens had been freed. The Iranian embassy praised the Russian navy for the rescue. “As a result of the actions of the Russian warship eight Iranian citizens were able to be freed, who were in pirate captivity for more than 80 days,” said the Iranian embassy. Meanwhile, the difficulty arises of where to try the captured pirates – in Russia or in one of the Gulf of Aden littoral states? On Monday Russian President Dmitry Medvedev instructed Prosecutor General Yury Chaika to negotiate with foreign colleagues on how to prosecute pirates, including a plan to form an international criminal court, Interfax news agency says. “This problem must be looked at from the angle of Russian law and litigation, and also from the angle of forming an international practice of handling such cases,” Medvedev said. The Russian President added that Russia has captured those pirates and now must understand how to handle them. “They could be tried by various laws, and this is an international issue,” Medvedev said. 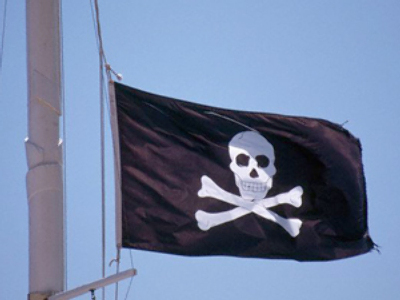 “Russia's prosecution, together with the Foreign Ministry and other institutions concerned, should contact their foreign colleagues on this issue to consider different ways of bringing pirates to justice as very often those states where the piracy is stemming from remain inert and in fact often contribute to such crimes. We should examine all the possibilities, maybe even including the creation of an international trial for pirates,” Medvedev also said.